With over $6.0 billion in assets, Florida Community Bank (FCB) is the fourth largest Florida-based bank. Listed on the New York Stock Exchange, (NYSE: FCB), the bank serves the state with over 50 full service banking centers. 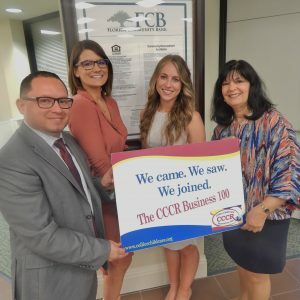 The presence of FCB blankets both Florida coasts from Daytona Beach to Miami-Dade, Naples through Tampa Bay to Brooksville, as well as the I-4 Corridor. FCB is consistently ranked among the most highly capitalized banks in the state with capital ratios exceeding the regulatory standard to be considered “well capitalized” by a wide margin. FCB is also dedicated and committed to supporting the local communities in which they live and serve, including Collier County.